This comes from a long time Transformers fan and will have spoilers along with speculation on the next two movies. 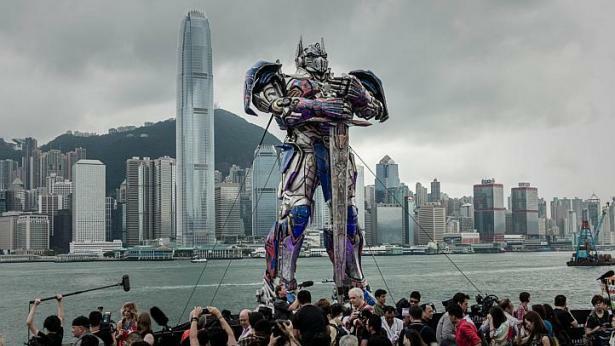 Transformers 4 : Age of Extinction is a vast improvement on the last three movies. It looks less rushed and generally less forced in terms of how the story can evolve. The whole human interaction in this story was overall better approached;. It starts off with a jump in the story. Between the Third movie and this one a rogue CIA agent has been hunting any Transformers they can find to scrap for parts. The original Autobots are all gone apart from Prime and Bumblebee. The Decepticons are all manufactured and mad made in a lab using their parts. It’s a more realistic reason for the human involvement in the story that the old movies where Sam just needed to go to college. They also introduce a really annoying human character at the start and kill him off early on which is something they should have done in the previous movies for those characters brought on just for comedy value. The addition of the new character Joshua Joyce who is played by Stanley Tucci (Captain America, Hunger Games) was a genius addition to the story. He runs the tech company who decided to make their own Transformers. Going from a bad guy to a good guy in the movie really helps his chances of getting put in the next one. One of the sub plots in this movie involves a Transformer bounty hunter called Lockdown. He’s not a Decepticon or Autobot and works with the evil humans in this movie to hunt down Optimus Prime as his creators want him back. As they also opened up the world to other species of organic aliens giving it more of a science fiction vibe. For me the scene at the start where the aliens turned organic matter to metal reminded me a lot of the G1 Cartoon “Key to Vector Sigma” Where the Decepticons find a key and want to turn Earth into a new Cybertron. The aliens look to pre date Transformers so for any old school Transformers fan that means only one thing. Quintessons! For those who don’t know the Quintessons they were in the original animated Transformers movie and returned in later cartoons to revive Optimus Prime. The back story of the Quintessons was that they made two types of intelligent robotic life. One for domestic duties called the Autobots and one type for military called the Decepticons. Later there would be a big war and the Transformers would be left fighting over Cybertron. Now we are left with a story which means there could be countless more Transformers in space like Lockdown also if they move into alien territory and space it’s likely this trilogy will build up to the introduction of Unicron the planet eater. 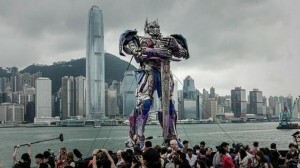 Could the reason Optimus Primes creator doesn’t want them on Earth as they want to feed it to Unicron. Who knows, that would be a great movie. Half of this movie is set in USA and last epic fight part is set in China. Integrating a movie into China worked very well for Marvel and Iron Man 3. Although In Iron Man 3 due to contracts filming didn’t work out and they cut Fan BingBing from the western release of the movie. Transformers does it right, they got a great Chinese actress with Bingbing Li and filmed in some amazing locations like Beijing and Hong Kong. In the opening few days in China the movie apparently took in $134.5 million where as in the USA it took in $121 million. Stats like this mean they will have to work China back into the next movies. The integration of Hong Kong into the story was well done and made the movie really feel epic. Compared to movies like Thor which were just shot in the cheapest locations they could find. I loved the Thor movies but they could have done better with locations. The movie was partly sold on the introduction of the Dinobots which was strange as they didn’t show up until the end. There was also a bit near the start where they showed a fossil which looked like Grimlock and then forgot about it and brought them all back into the movie where it looked like they had been in a spaceships prison for millions of years and then brought back to fight the Decepticons. I hope they manage to bring the Dinobtos back into the next movie and with Gregg Berger who voiced Grimlock and several other Transformers. The movie overall was amazing, it was ambitious in the way they filmed it and left the story open. They didn’t try to over cram too many Transformers into it to sell more toys like they did in the last two movies. The CGI and fight scenes were almost perfect, they didn’t speed anything up or slow it down too much so you got to see all the movement and it made the Transformers really look alive and move organically which is something Michael Bay tried to do in the last movies but didn’t quite get it right. The cast in the movie was great too a huge improvement on the last movies. With any luck they will manage to bring back Mark Wahlberg and Stanley Tucci for the next movie. In the last scene of the movie we saw Optimus Prime fly off into space with two move movies planned lets hope he will be back with soon.